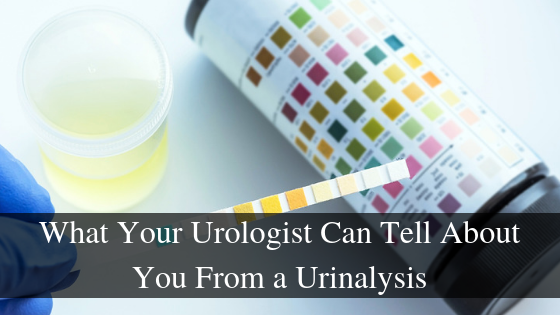 A urinalysis paints your doctor a picture of who you are and what might be going on inside your body. Are you healthy? Will you be a safe candidate for surgery? Could you bepregnant? Do you have an infection? Do you use drugs? What your urine says about you might actually surprise you! Diagnose a variety of disorders, such as urinary tract infections, kidney disease, kidney stones, liver disease, diabetes or pregnancy. Screen for infection, renal disease, and poorly controlled or undetected diabetes which might otherwise negatively affect an operation. Monitor the overall health of people who have been diagnosed with medical conditions like urinary tract disease or kidney disease. Generally, a urinalysis doesn’t require much preparation. Unlike other tests, you can eat and drink normally up until the test. Always check with your doctor for specific instructions. Some medications and supplements can affect urinalysis results. Let your doctor know if you are taking any medications, supplements or vitamins before your test as your doctor might have you refrain from taking them before the test. At your appointment, a healthcare professional will provide you with a small container for a urine sample. You will use a private restroom to produce between one and two ounces of urine. The container will then be taken for examination. After providing a urine sample, it will be sent to a lab (or brought to an internal lab) for analysis where it will be evaluated in three ways: visual exam, dipstick test, and microscopic exam. The color of urine can indicate dehydration or blood in the urine, but might also take on a certain color based on a person’s diet. Urine is typically clear, so cloudy urine is often a sign of infection. It is also common for cloudy urine to be accompanied by a strong or unusual odor. Acidity: The pH level indicates the amount of acid in the urine. Abnormal pH levels could be signs of a kidney or urinary tract issue. Concentration: This shows how concentrated the particles are in the urine. A high concentration often means you’re dehydrated. Protein: Protein is common in urine, but high levels could indicate a kidney problem. Ketones: Any amount of ketones detected in the urine could also be a sign of diabetes and may require additional testing. Bilirubin: Bilirubin is a product of red blood cell breakdown. Normally the liver processes this and turns it into bile. Bilirubin in your urine could be a sign of liver damage or disease. Infection: The presence of nitrites or leukocyte esterase in the urine could be a sign of a urinary tract infection. Blood: Blood in the urine could be a sign of kidney damage, infection, disease, bladder stones, kidney cancer, bladder cancer, or a blood disorder. Note: Above average levels may require additional testing. We perform a number of in-office diagnostic tests, including urinalysis each day. Schedule an appointment at one of our Charlotte area locations and a member of our medical staff will gladly explain to you what they’ve found in your urinalysis. If your urinalysis shows anything concerning, consider downloading our nutrition and healthy lifestyle guide. Good nutrition and a healthy lifestyle will promote a healthy body which will show in your urinalysis results.